Bring a lawn chair, and maybe even a blanket (there will be a bonfire), but leave the coolers at home. Please and thank you! Unless noted otherwise, Entertainment is located across the street from River Haven Marina. Suwannee River Jam Auditions – Solo Artist – 10:30 a.m.
Suwannee River Jam Auditions – Bands – 1:00 p.m. Gospel Music artists – all at the Community Center – 1:00-3:00 p.m. Think you have the best SOUP, STEW and/or CHILI? We’ll be the judge of that! The 11th annual Swamp Water Cook-off will be held Saturday, February 16th. Please submit you application either online (including online payment) or by downloading the pdf forms and submitting to the Chamber office. Complete instructions are included on the forms! Swamp Water Cook-off Rules and application. 2:30 p.m. – Winners announced! Tickets are $5.00 …. CHEER your CRAB to the finish line. The winners of each heat will race for first place. First place winner receives $100.00. and a trophy. Second and Third place winners receive a trophy. Crabs provided through River Haven Marina & Motel. What could be better than enjoying a cold beer or a glass of wine in the great outdoors? Sipping your favorite beverage AND contributing to our local kids, that’s what! Cowboys – Yes, We are!! Each year fifteen or so Cowboys from Alabama, Kentucky, Tennessee, Wisconsin and Florida descend on Steinhatchee to volunteer during the Fiddler Crabfest. Our float “Cowboys for Kids” in the Saturday parade will be sporting a western barroom scene complete with a Cowboy card game, working girls, bartender, and a piano player. The float says it all: Cowboys for Kids can be found working the beer wagon, our tips and donations go to the North Florida Boys and Girls Club. We send kids from Jena and Steinhatchee to camp. 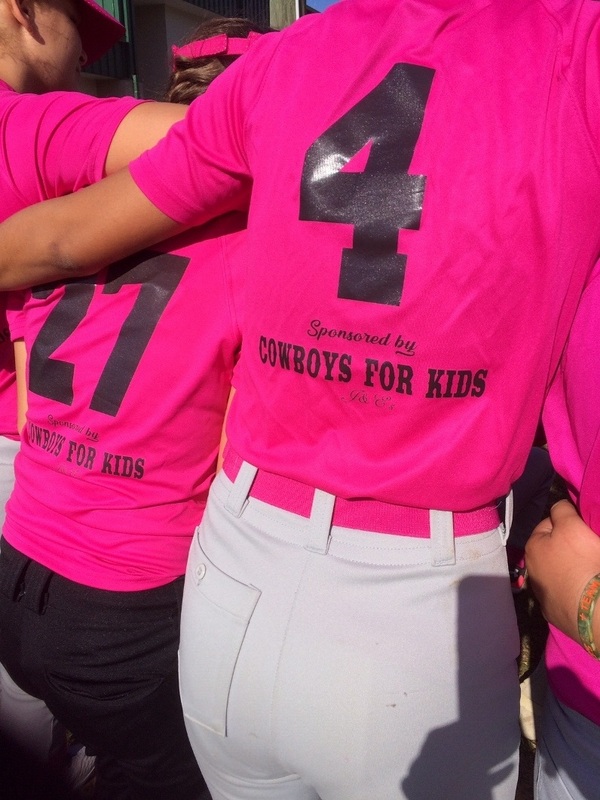 Last year we raised $600 dollars which was used to purchase uniforms, shoes, and equipment for a girls’ softball team. The first girls team in fifteen years! This year, please help us fill the Tony Lamas red patent leather boots to the top! 100% of the tips goes to our local Boys & Girls Club! Our goal is to send the kids on a two day trip to Cape Canaveral Space Center, and outfit a boy’s baseball team. NEW this year, a “KING CRAB” trophy will be awarded to the overall best entry! 1st, 2nd, and 3rd place trophies will be awarded in both categories. Parking area) Parade starts at 10:30. You’re a winner — but is your car? 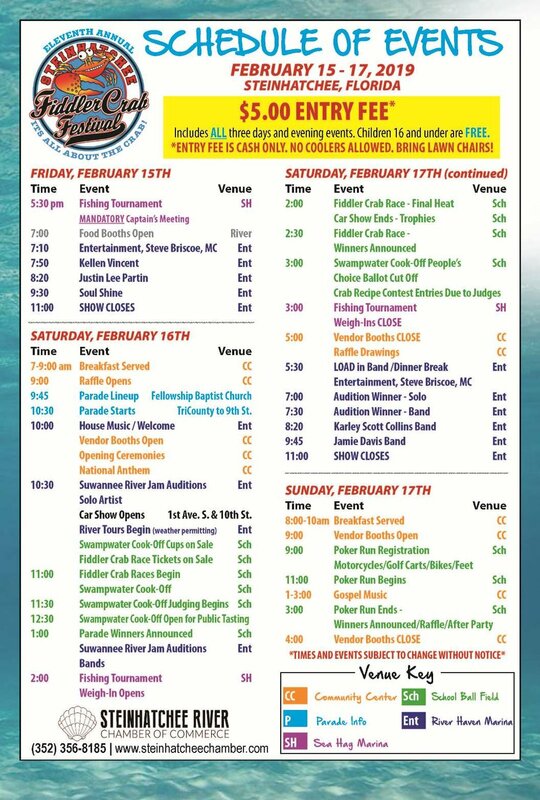 Enter the 2019 Fiddler Crab Festival Car Show to find out! Trophies awarded for best car in show, best looking car, most customized, best restored. No entry fees! Just download and submit your entry form as instructed on the form. Bring your beauty and head on over to Steinhatchee, Florida! If you think you’ve got something extra-special, enter the Fiddler Crab Festival parade for a chance to win even more! 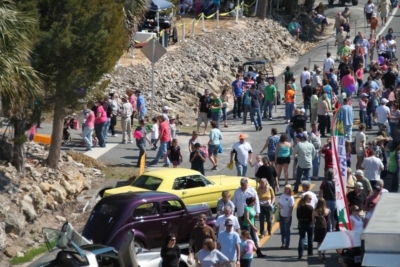 For more information about the Car Show, contact Mark Reblin at (352) 356-1342. Always refreshing and never a disappointment, our Steinhatchee River awaits! The River Haven Marina is offering River Tours on Saturday, February 16th! Tours will begin at 11:00 a.m. and continue every hour, with the last boat leaving the dock at 3:00 p.m. Tours last 45 minutes. Tickets will be on sale in the ship store at River Haven Marina and the cost is $10/person. Children 12 and under are $5.00 each. Cash only, please. There will be a signup sheet so come early to pick your preferred time. You will be given a ticket with the tour time. River Haven Marina suggests you arrive about 15 minutes ahead of departure time – they have plenty of seating and even a beverage bar on their back porch. The marina is located directly across the street from all the festivities, including evening entertainment. Don’t forget the camera! A special thank you to our volunteer captains – Mike Baker (Crappie Fisherman) and Steve Kroll (Pepper Fish Key Charters) for donating their time, boat and gas. The Captains receive no compensation, whatsoever. 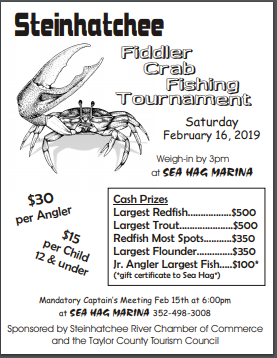 All proceeds go directly to the Fiddler Crab Festival.